Owing to the efforts of our skilled professionals, we have been constantly engaged in offering a qualitative assortment of Garden Clock. 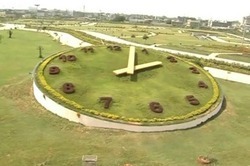 This garden clock is made by us at Town Park Faridabad near Bata Chowk. 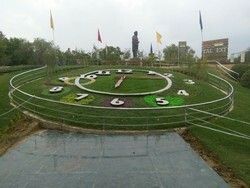 A decorative way of displaying time by synchronized clocks installed in public places, parks, and gardens. Available for diameters from 2.5 meters up to 7 meters.